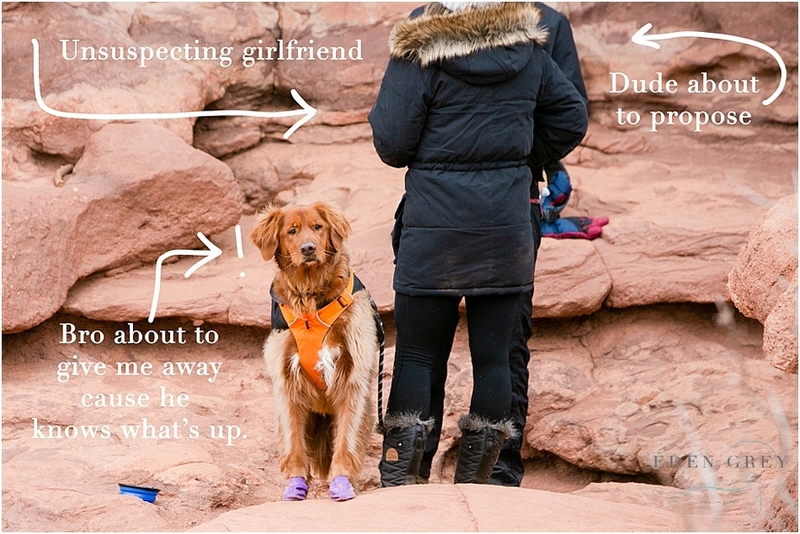 Below is an account of my shenanigans in Colorado right before the new year. 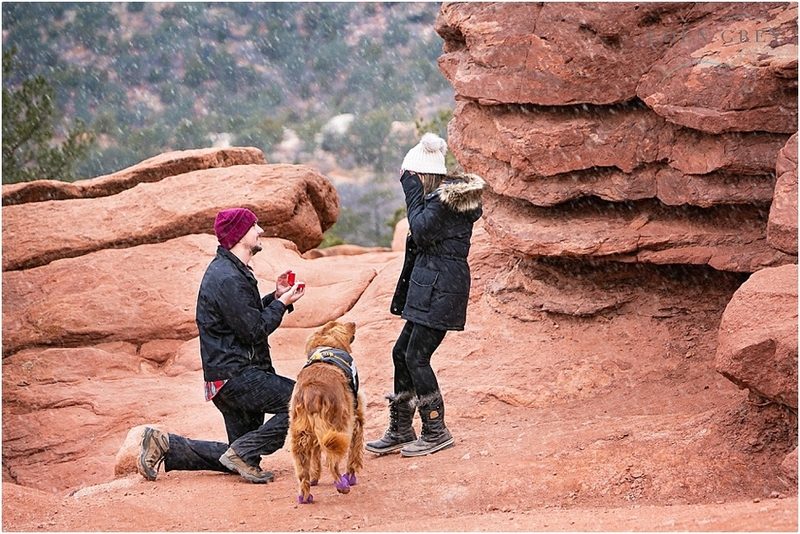 Yes…Garrett planned a surprise proposal in Colorado for his girlfriend, where they were planning a fun little trip to take Whiskey, their dog and play in the snow. But the plot thickens…his girlfriend, Stephanie, we go way back…just about 10 years, to when she was a high school senior. Garrett was generous enough to include me in his plan to propose to Stephanie, so we went back and forth incognito (under a fake name and all) to plan out the logistics. It was SO fun and absolutely incredible to watch take place…After he proposed, he let her in on the other surprise, a fun shoot for the two of them up north in Estes Park, Colorado. That shoot will be posted soon, but until then, enjoy this sweet proposal including Whiskey and his cute little paw protectors, because it was TEN degrees. Poor sweet boy was such a joy and I’m so glad that he was included on this special day. A super special shout out to Steph’s Dad for also helping all of this come together. The Colello family has long been part of our lives and I’m so grateful for them all! Also, mayjah shout to myself for waking up at 2:30 in the morning to catch the (what’s the opposite of red-eye?) 5AM flight to Colorado – great job, me!